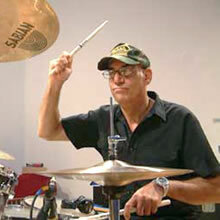 Former Billy Joel drummer, Liberty DeVitto, is one of the great drummers of the rock era. A powerhouse on stage who is idolized by drummers all over the world. He can now add author to his long list of accomplishments. He has penned, along with fellow drummer Sean Kennedy, Camp Jam: Rock Solid: Drums, a how-to book on how to become, not only a great drummer, but a great musician. 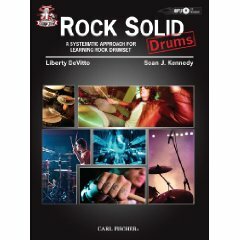 The book covers the nuts and bolts of drumming and includes play-along tracks featuring a real band, with over five hours of music, tips, and suggestions on the MP3 disc, performed by DeVitto and Kennedy. DeVitto was nice enough to answer some questions for us about the book and what it takes to make it as a drummer. 30DaysOut: Give us an overview about the book..
DeVitto: It will take a new drummer from picking up the sticks to being ready to play with a band. 30DaysOut: Why did you decide to write the book? DeVitto: I get irritated when I hear a young drummer or a new drummer goes out and buys a video or a book by a drummer that is so advanced that even a well-seasoned player has a hard time following along. I believe the first beats you learn are the beats you with you for the rest of your drumming adventure. In the book, there are beats that every drummer starts to play when he or she sits down behind the kit, no matter how advanced they are. This is where you need to start. 30DaysOut: What’s the best way for a kid to get started playing the drums? 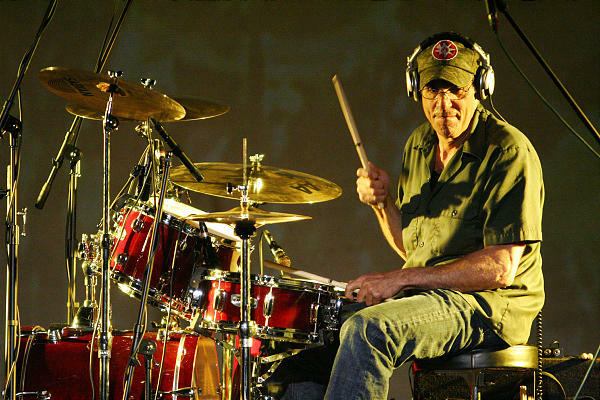 DeVitto: The most important thing to do first is to listen, not only to drummers or drum patterns, but to the music. 30DaysOut: What drummers should kids be listening to when they are first starting out? DeVitto: I believe time is money; the better time you have, the more you will be asked by others to play. Find a drummer with a great feel who plays for the song and fits the band. Ringo Starr, Bernard Perdie, Charlie Watts and Larry Mullen with U2 are some great examples. 30DaysOut: Should people run out right away and buy their kids a new drum set when they get started? DeVitto: YES, but a simple one. Bass drum, snare drum, and hi-hat. Eventually add a tom and floor tom for fills along with a ride cymbal and crash. 30DaysOut: What is the best way for a drummer to practice? DeVitto: Play to your favorite band’s music. Feel what they are feeling, then take little steps into other forms of music and incorporate that music into your style. 30DaysOut: What do you think is the biggest mistake made by drummers? Lack of a good groove? Overplaying? Too many fills? DeVitto: All of the above and not punching the lead singer in the face on the first day of rehearsal. 30DaysOut: In the book you mention “effective listening.” What do you mean by that? DeVitto: Listen not just to the drums, but to the lyrics and the other instruments. Find out why the drummer is doing what he or she is doing. Remember, drums need to fit in to what the band is doing. Some drummers lose sight of the music. 30Days Out: What does it take to become a drummer who can reach the level you have reached? DeVitto: Practice, practice, practice and experience. Check out an interview we did with DeVitto in 2008 where he talks about his life with Billy Joel. This entry was posted on February 12, 2010 at 1:53 pm and is filed under Uncategorized with tags Billy Joel, Camp Jam: Rock Solid: Drums, Liberty DeVitto. You can follow any responses to this entry through the RSS 2.0 feed. You can leave a response, or trackback from your own site.